Take the idea of foraging, and take it one step further. 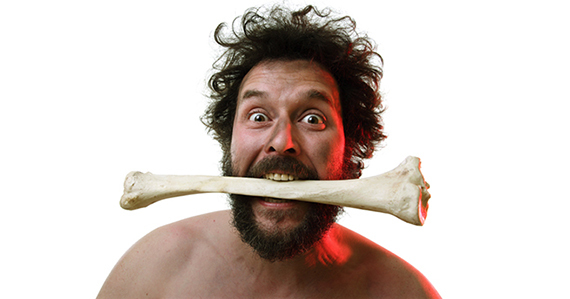 Paleo (short for Paleolithic) is a type of eating where you eat what our (distant) ancestors would have eaten. In this case it's a whole lamb, with all parts used, but traditional accompaniments. "Pop Up Paleo is the perfect balance of great food and great nutrition and is centered on the idea of eating the type of food our prehistoric ancestors would have eaten. 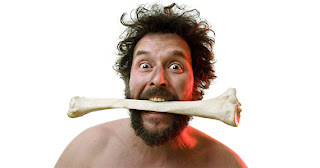 All modern, processed foods and other nasties will be ditched - a simple way to think about it is that if our ancestors could have killed it or found it on the ground 10,000 years ago, then it makes the grade. It’s about real food designed for optimal health cooked by one of London’s leading young chefs. The exceptionally talented Sous chef from Gordon Ramsey’s Maze, will be breaking down a whole lamb and incorporating every aspect of it in innovative ways throughout 3 courses of Paleo delight (with a few extra suprises!) all inspired by our hunter gatherer ancestors..."